Queerama is a film created from the treasure trove that is the BFI National Archive. The story traverses a century of gay experiences, encompassing persecution and prosecution, injustice, love and desire, identity, secrets, forbidden encounters, sexual liberation and pride. 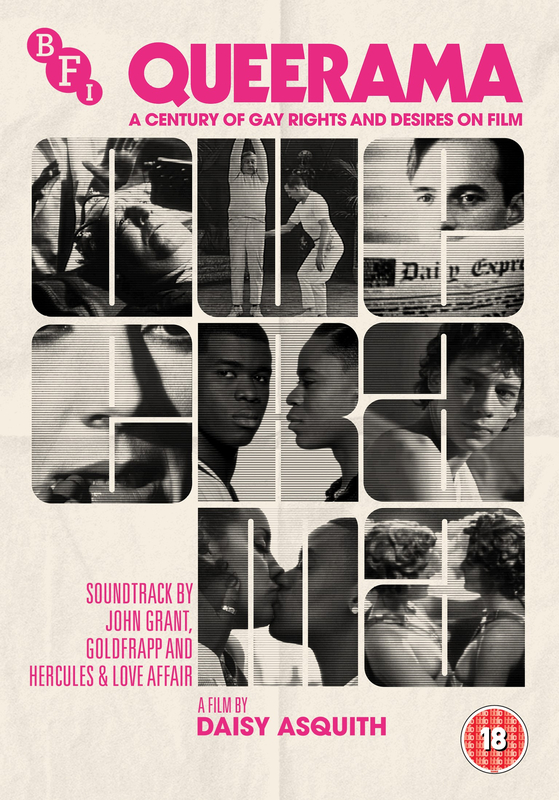 The soundtrack weaves the lyrics and music of John Grant and Hercules & Love Affair with the images, and guides us intimately into the relationship, desires, fears and expressions of gay men and women in the 20th Century – a century of incredible change. Starting with the first gay relationship on film released in 1919, Different from the Others, Queerama weaves its way through the decades from unknown newsreel and amateur film from the 20s and 30s, to the sexual liberation of the 00s queer and transgender scene and the chemsex, gay parenting and marriage campaign of recent years.